Like us on Facebook – and when you do, post a note to your friends that encourages them to check us out. 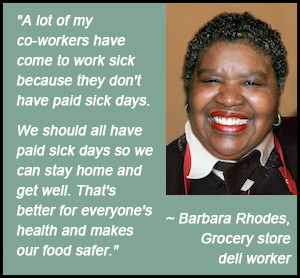 Tell the Seattle City Council that you support paid sick days, and urge them to pass a paid sick days ordinance this summer. Check out the events we’ve got planned either here, or on our Facebook page.